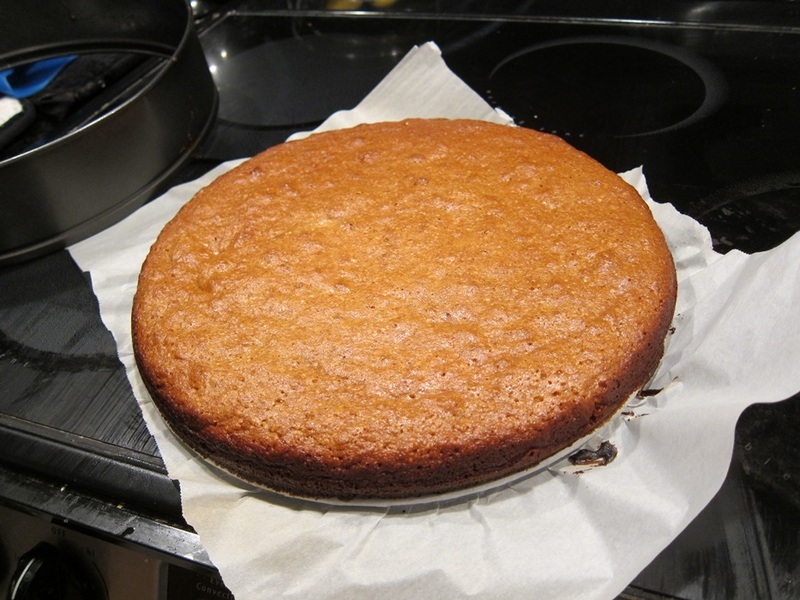 Sort of similar to the orange almond cake of a few weeks ago, this cake involves a food processor, a lot of eggs, and almonds. A very different result, though, although both have good flavors and textures. The almonds I used all said they were already toasted, and, being lazy, I went with that. If your almonds don’t come toasted, toast the whole ones on a baking sheet in a 350 degree oven for 7-9 minutes, stirring once in the middle; toast the sliced almonds in an ungreased skillet over medium-low heat for 2-4 minutes, until fragrant. 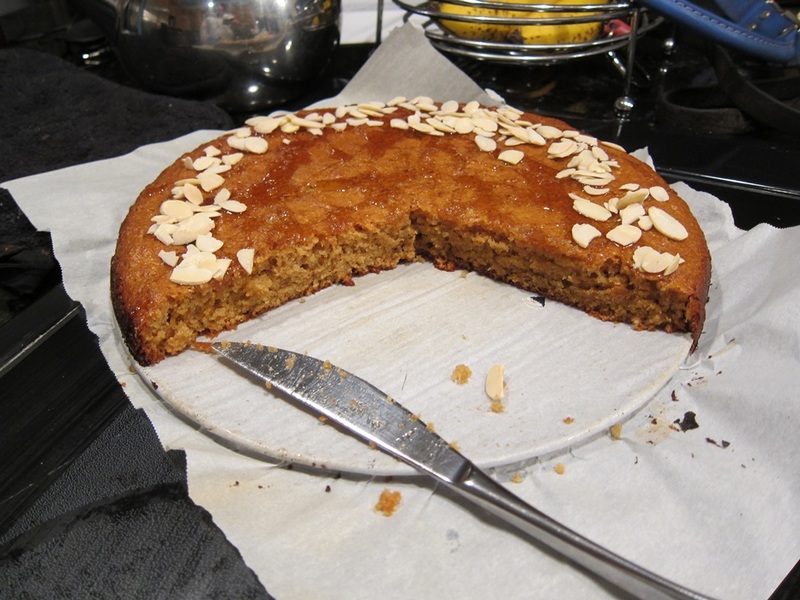 Also, the original recipe called for regular almonds, but using the slightly sweeter, more moist marcona almonds worked quite nicely. Preheat your oven to 350 degrees. Line the bottom of a springform with parchment, then grease. 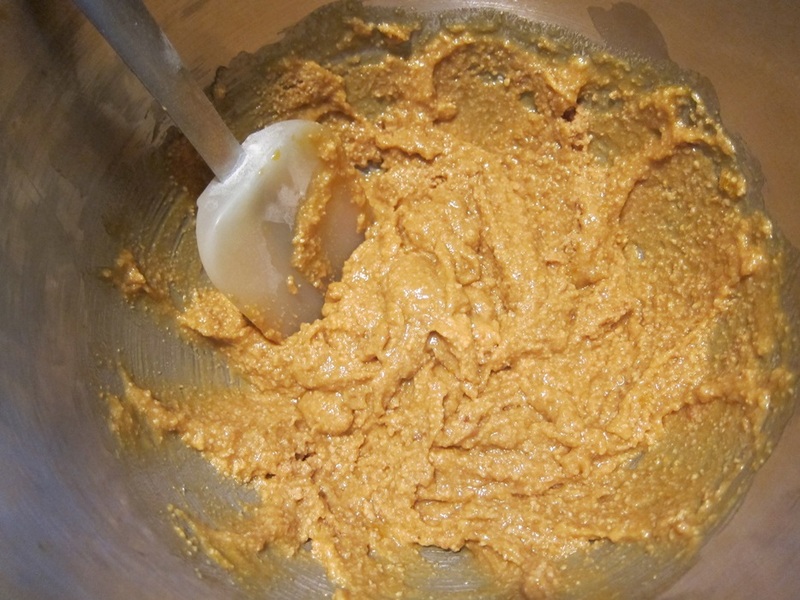 Process the whole almonds in a food processor until finely ground. I found that it went chunky>gritty>gritty>gritty>almond butter, with that last change happening super fast. 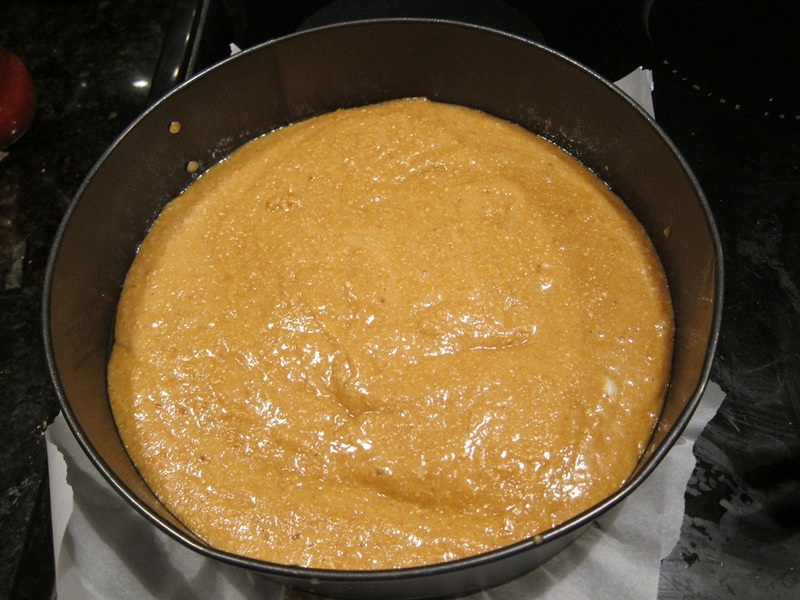 Having it basically be almond butter is better, texturewise, for the finished cake than having big almond grit. Tiny food processor, did it in two batches. In a large bowl, eat the egg yolks, 1/2 cup honey, vanilla, baking soda and salt on medium speed until well combined. Add the ground almonds and beat until combined. In a separate bowl, beat the egg whites until very foamy, white, and doubled in volume, but not stiff enough to hold even soft peaks. Gently fold the egg whites into the almond mixture, stirring gently until evenly combined. Spread into the prepared pan. Bake until golden brown and until a toothpick inserted in the center comes out clean, about 28 minutes. Cool in the pan 10 minutes, then remove the side of the pan. Let cool completely, then drizzle with remaining 2 tablespoons of honey and top with the sliced almonds. This cake is quite sweet, but I feel like somehow it’s sweet in a way that won’t annoy people that can’t handle sweets? I didn’t eat much, as I don’t really care for nuts, but even I can admit it was a pretty good cake. My mom recommends toasting a slice in the toaster oven for some nice crispness! Toast whole almonds on a baking sheet in a 350 degree oven for 7-9 minutes, stirring once in the middle; toast the sliced almonds in an ungreased skillet over medium-low heat for 2-4 minutes, until fragrant. 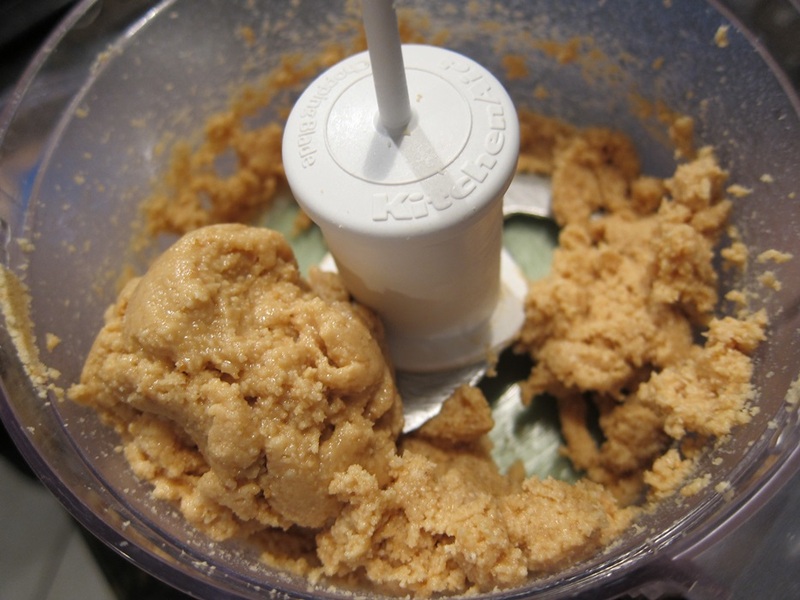 Process the whole almonds in a food processor until finely ground. In a separate bowl, beat the egg whites until very foamy, white, and doubled in volume, but not stiff enough to hold even soft peaks. 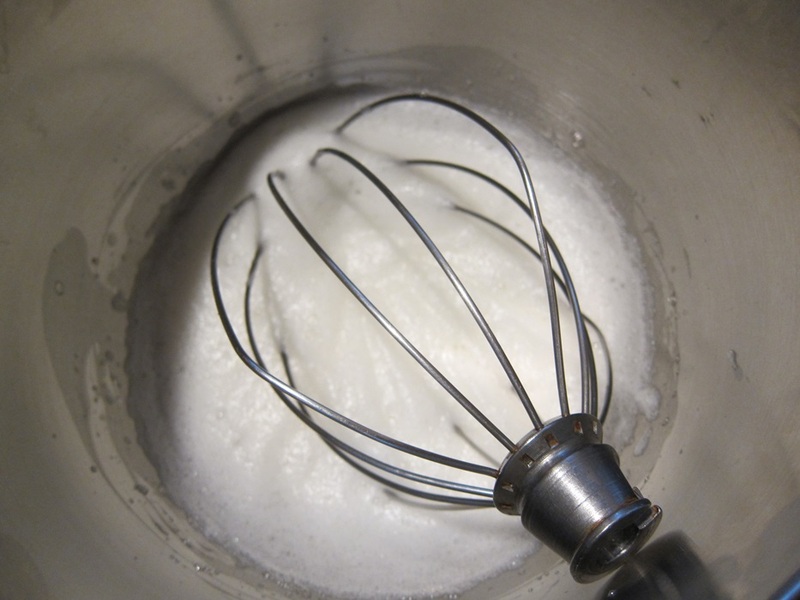 Gently fold the egg whites into the almond mixture, stirring gently until evenly combined. Spread into the prepared pan. 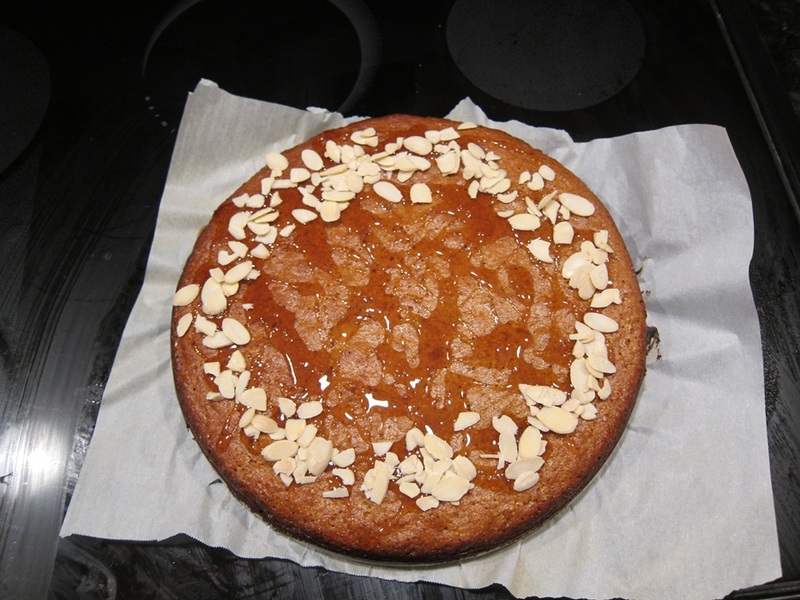 This entry was posted in Dessert and tagged almond cake, honey, marcona almonds. Bookmark the permalink.